Here's how you can empower women at work. Empowering women isn’t just the right thing to do—it’s the smart thing to do. "When women succeed, nations are safer, more secure, and more prosperous. Change doesn't happen overnight. If an organization is lagging in terms of opportunities for women and women's leadership roles, start by seeing where you are—which often means surveying all employees to gauge attitudes, feelings, and behaviors that concern gender disparity and other issues related to workplace discrimination and feeling safe and secure in their working environments. Organizations are helping women professionals build career opportunities – Diversity and inclusion are changing the face of organizations, and women are leading this change. Gender diversity is a top priority, as every organisation should offer programs that benefit women, especially mothers, such as flexitime during maternity leave which eases returning to work post maternity. Also, it helps women return to work post career-breaks etc. Recognition of female leaders in the Workplace - Organisations must ensure that female employee are equal in every sense of the term. From heading business verticals, leading business critical projects to fast track career movements, ample opportunities to excel are created within the eco-system. The High Performance – High Potential programme creates great visibility to generate talent pool and is an active feeder to Career and Succession Planning, women being no exception. The need for equal representation of female leaders within an organisation – Awareness to a large extent has neutralised gender biases in organizations. For progressive organizations, today the emphasis is on the right fit where business acumen, leadership abilities, individual strengths and personality traits take precedence over gender. Today's global problems require leaders with diverse skill sets and innovation, which can only come from diverse ideas and players. Simply providing women with opportunities to shine shows that they are copiously capable of rising to any occasion, but opportunities must be deliberate to accelerate the pace of change. Consider flexible working options for women professionals - Women play multiple roles, each of which is important for the overall well-being of not only an organisation but society at large. An initiative like flexible working options for mothers provides them with much needed equilibrium to balance their multiple roles, which is important for her own well-being too. The sphere of influence is much larger and more holistic, their potential and abilities are undeniable hence flexible options permit her to stay in the main-stream workforce. Encourage women to showcase their leadership by giving them high-visibility initiatives –Women make great leaders because of their ability to balance professional and personal leadership skills and more often raise themselves to situational leadership when the need arises. They understand what drives and motivates people naturally. Being a gender appreciative, every organisation must have quite a few women leaders in senior leadership team cutting across businesses and functions globally, managing high visibility customer-centric projects and initiatives. Pragmatism and resilience make them great leaders for our incubation projects too. 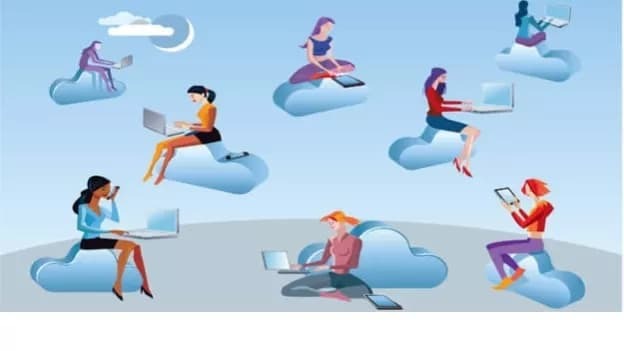 How safe and secure channels of informal communication and collaboration helps women professional to connect - Creating a safe, secure and inclusive organization is important for the sustenance of it. Intent and content are ineffective in the absence of appropriate communication channels which employees can trust. Communication channels are the lifeline and all modes should be open, safe and transparent. Constructive communication, Meaningful collaboration and Professional Alliances go a long way in settling and stabilizing women trying to get a foothold. The 3 C's of success: Collaborate, Communicate, Cooperate come more naturally to men, women needs to make some conscious efforts to find the space and time to inculcate these for professional triumph. The Writer is Lata Menon, Country Head - HR, India, and MEA, Equifax.